The My Stories list displays all current stories written by an individual Teacher or Educator. It is a handy location to view all of a Teacher's current published, drafted, and pending stories in one place. You can now access your My Stories page in two ways, as discussed in this article. Access My Stories by visiting the Teachers link at the top of the site and then clicking My Stories beneath the teacher's name. 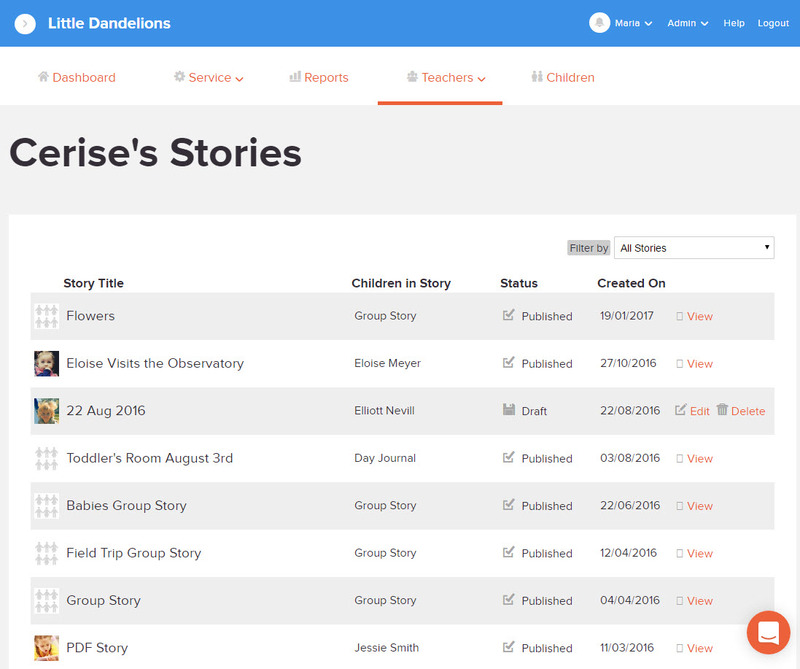 The My Stories list displays all current stories by the given teacher along with the status it is in and who the story is written for. You will be able to see options for Viewing, Editing, Deleting and Approving the stories depending on their status and your role. Scrolling to the bottom of the page will load more stories. Changing the Filter By: options at the top of the page will only show stories of the status you choose. There is now an easier way to access your My Stories page with the help of the Toolbar we have added.